We make our ward staffing levels information available in the form of a monthly report. The report shows information on our staffing levels - looking at the staff hours assigned to each ward and how many hours were worked in that month. You can see the reports at the bottom of this page. Greater transparency on staffing levels on every ward aims to encourage trusts to examine and assess levels of staff. Our director of nursing undertakes an annual trust wide review of nurse staffing in line with national recommendations and guidelines, and in line with our own nursing and midwifery strategy. Based on this review, recommendations are made around recruitment in specific areas of the trust. We are committed to ensuring that levels of nursing staff, which include registered nurses, midwives and unregistered health care assistants (HCA’s), match the acuity and dependency needs of patients within clinical ward areas in the trust. This includes an appropriate level and skill mix of nursing staff to provide safe and effective care. These staffing levels are viewed along with reported outcome measures, ‘registered nurse to patient ratios’ and the number of staff per shift required to provide safe and effective patient care. In the event of shortfalls of staff or unexpected increases in patient acuity and dependency requirements, the agreed staffing levels are reviewed with escalation actions specified when required. Safe staffing levels are managed on a daily basis. 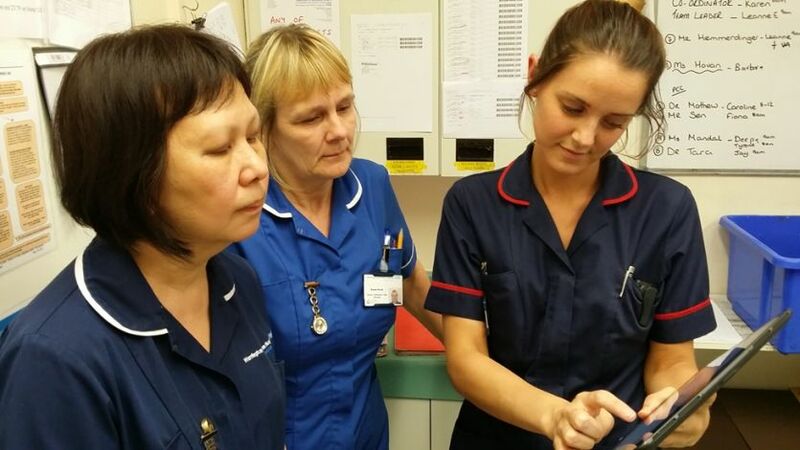 At the daily staffing meetings, the matrons and ward managers, supported by the associate director of nursing discuss the overall view of their wards for the next three shifts by registered and unregistered workforce numbers and ratios. Consideration is given to acuity and dependency on the wards, as well as bed capacity and operational activity within the trust which may impact on safe staffing. The overall report (and exception report for the latest month when available) are below along with previous reports. The exception report provides commentary on particular issues and mitigating circumstances that have affected staffing levels on a particular ward. As well as publishing information on our website, we are committed to displaying our staffing levels in all ward areas. In July 2014 we introduced our how are we doing boards which provide essential information regarding staffing levels, safety, quality and patient experience on the wards. The boards (pictured right) provide daily information on staff on duty, patient safety, incidents on that ward and patient experience.